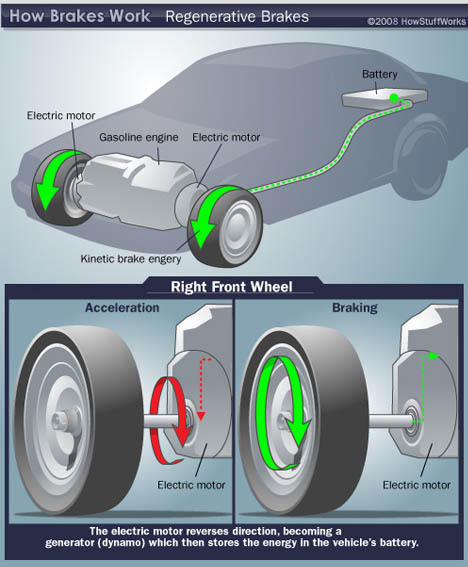 In the last century of automobiles and associated innovations, few things have stayed the same, but a few major themes have remained: (1) someone sitting focused at the steering wheel of their four-wheeled vehicle at all times, and (2) the primacy of internal combustion as the driver of most consumer vehicles. Both of these paradigms are being radically rethought through vehicle automation, on the one hand, and new forms of energy conversion on the other. 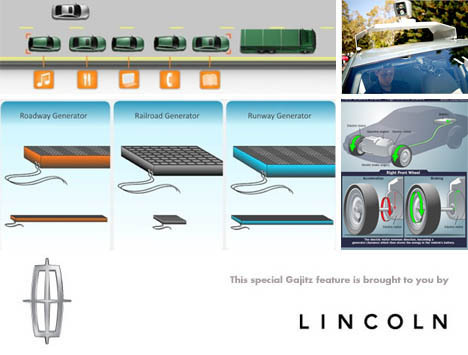 In turn, these are the two main topics of this second Lincoln-sponsored Gajitz article on cutting-edge vehicular innovations past and (now) present. 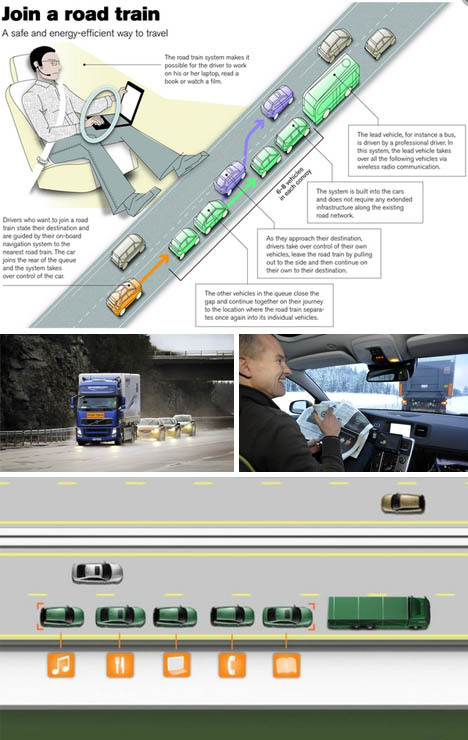 Driverless Vehicles: the mental image conjured by fully-automatic (no, not just your shifting!) cars is perhaps jarring enough to keep these concepts and prototypes at the top of most peoples’ minds when they think of vehicular innovation. Or perhaps it is the near-reality of it all, with successful tests already being run in California, and Nevada giving the go ahead for real street-legal applications (having licensed its first autonomous vehicle – with Google driving technology – mere months ago). 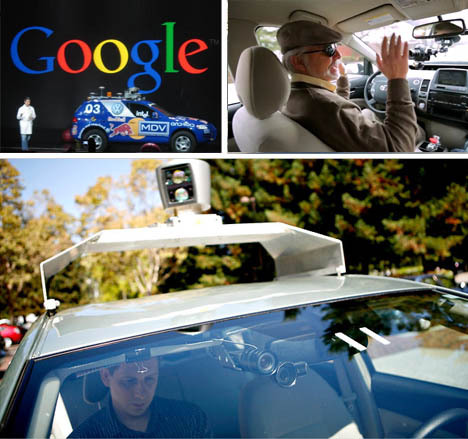 There are still questions to be answered – who is at fault, for instance, if your driverless car crashes? As yet, though, the only crash of such a test vehicle came when it was being manually driven. Road Trains: vehicular platoons, in convoys, may be the bridge we need between fully-manual and totally-automated car technology. Fuel efficiency is increased, wind drag decreased, and time freed up for other things – all while drivers remain passive riders for much of their journey, jumping into and out of queue when signaled by the hub truck. SARTRE (Safe Road Trains for the Environment), featured in the video above, is already testing these on the open highway. 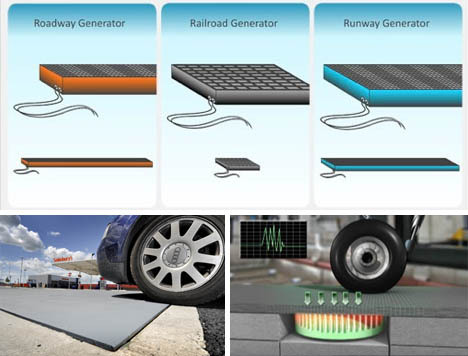 Kinetic Asphalt: cars give off more energy than we give them credit for – everything from their weight and motion to minor vibration and temperature differentials can be used by the very roads they drive on to generate power. Companies like Innowattech are already testing these on a limited scale, on freeways that can generate 1 MWh – enough to power 2,500 homes, or roadside amenities from traffic lights and street lamps and lighted billboards. Of course, municipalities can also use them to fuel other non-fan-favorites, like radar guns and traffic cameras. Energy Recycling: when the internal combustion engine first came into mass production, it was an amazing and powerful thing. The story since then has, to some extent, been one of iterative refinements – figuring out how to preserve all of that precious energy being generated by vehicles using its technology. Regenerative breaking, for instance, has long been used (primarily in trains) to recoup energy lost to heat in the breaking process, but a new variant is on the boards now as well: regenerative shock absorbing, turning bounces back into power. Other recent and pending innovations of internal-system recycling revolve around the reuse of waste gasses to power steam generators. See more in Concept Vehicles or under Transportation. July, 2012.